The latest fashion handbags range from whacky shapes to fanny packs to micro bags. Here are the 10 latest trends in handbags for Spring Summer 2016! My bags carry my whole world in them – what would I do without them? Just imagine having to walk into a party with your phone and lip gloss in hand – the universe will go topsy-turvy! 😛 We just love it when essentials come in style. Call it an accessory or a necessity – fashion handbags have given us new and creative appearances every season. While some trends continue to remain, others get innovative and surprise us! So let’s take a peak at the latest 10 fashion handbags trends for Spring Summer 2016. This season’s #1 trend in handbags is clearly the handiest kind. These multitask as your smartphone pouches, key holders, travel pouches or your everyday wallets. Really convenient when going for a walk or a jog, when you want your hands free. Fanny packs were somewhere there on the runways and in athletic-apparel stores, but just when you though that something of this sort is best left for casual days and for parties, designers like Karl Lagerfeld added the embellished ones that’ll be great (at least for most parties!)! Micro bags became a trend in 2015, but they’re still trendy and very much there in all major designers’ Spring 2016 collections. I see a micro bag as a cross between a wallet and a sling bag. Somedays, all you need to carry along with that good mood is a credit card and a lipstick! And these tiny statement beauties are perfect! Sling bags or small chained flap bags are very comfy to carry around and we saw them a lot in the Spring Summer 2016 collections, like Moschino, Dior, Ralph & Russo. The red Chanel bag is my favorite. 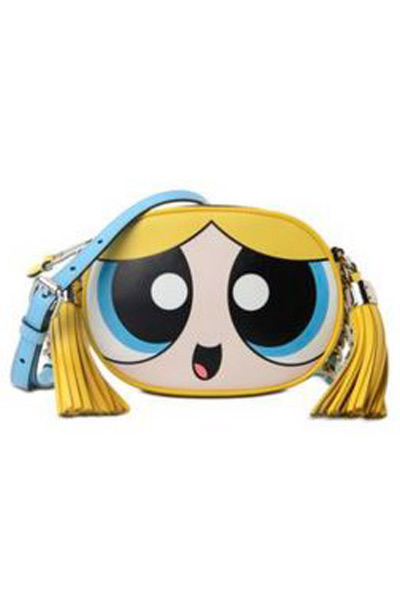 This season we saw a lot of really creative handbag designs – Dolce & Gabbana’s SS16 collection had old-school camera shaped clutches, and Moschino had traffic cones to construction helmets to Bubbles the powerpuff girl as a sling handbag! There’s also the tool box bag, which can carry much more than tools in it. I really love this style! Box clutches have been trendy for a few seasons now and considering how classy they look, I don’t see why they should go out of style. 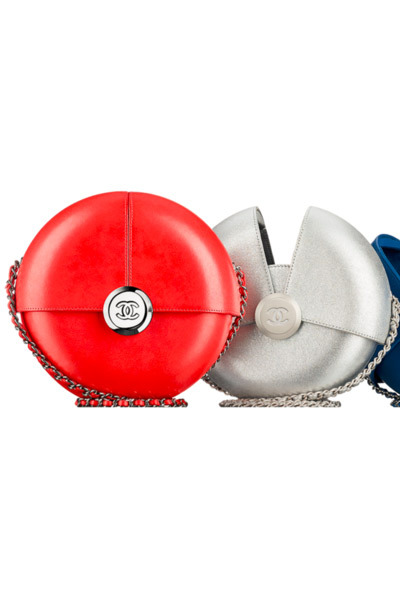 I really like this mini Chanel logo box clutch that looks like a perfume bottle – very cute! Bucket bags are very spacious, they can carry much more than u estimate them to carry! 😛 They’ve always been great to pair with casual-wear, but bucket-clutches like this one by Guo Pei is great for parties and weddings, too. Fringes have always reminded me of the cowboy look. But this Spring, these fringe handbags have changed that stereotype! From chic urban to classy party types, these bags are gorgeous!. my favorite is this pink and silver one by Guo Pei. Instead of large totes or shoulder bags, we’ve been seeing quite a few medium handheld bags this season at the runways. The new handheld bag for 2016 is compact, structured and yet very cool. Also check out this latest Lady Dior campaign film! I have always liked carrying envelope clutches – effortless, slim and thin they’re just the way we want our phones to be these days! We’ve been seeing both cylindrical and circular clutches this Spring. Loved the Guo Pei one, again with fringes.